No one ever has said making sushi is easy. Are you one of the many people that has difficulty rolling a very tight sushi roll? Don’t despair. Besides remembering what goes inside each, rolling is the next most common problem. For those looking for a shortcut, you may want to try Sushezi’s latest weapon. 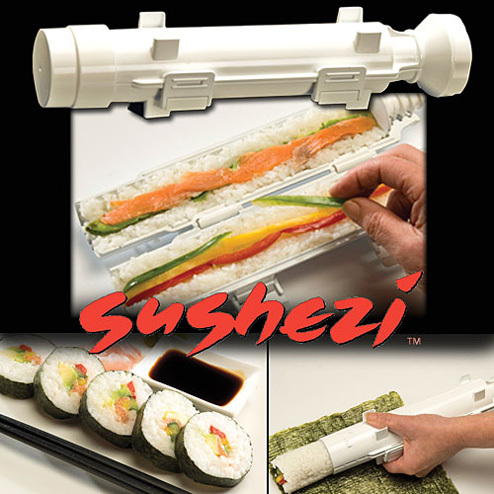 The sushi-making lightsaber! Let the force guide you while making the perfect California roll. Make Yoda proud, while impressing your friends. Sushezi. Get it? It’s Sush-easy.